Parable - What stews are you trading your blessings for? Esau traded his birthright for a bowl of stew. 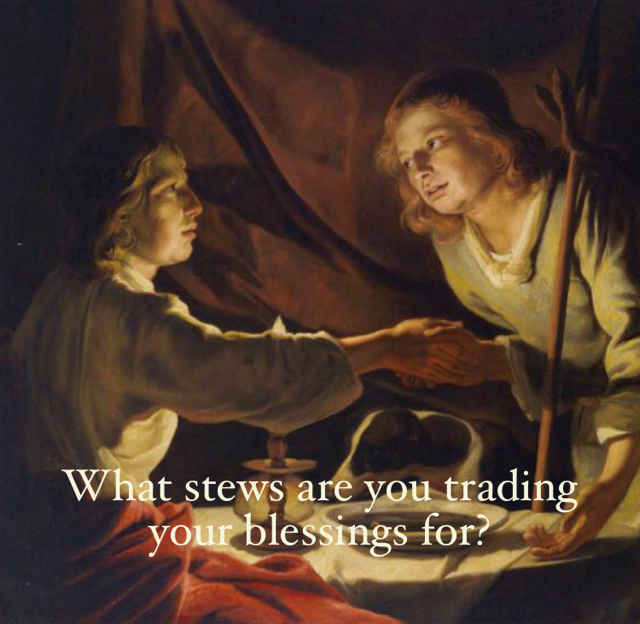 What stews are you trading your blessings for?